Mascara. One of my favourite items of make up, second only to foundation. On the days I don't feel like retreating into the comfort of a full make up bag, I can easily leave the house with a good base and lashings of my favourite mascara. No pun intended. 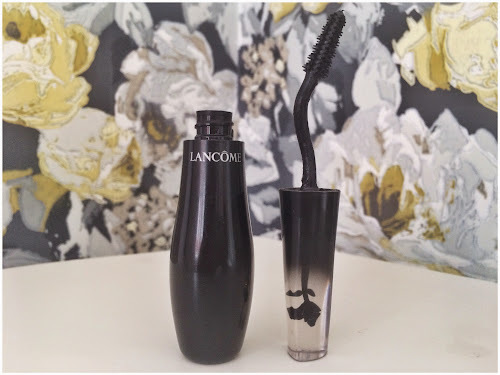 I've always been a fan of Lancôme's Mascara offerings. Grandiose initially caught my eye with its swan like angled brush. This claims to get to the root of each lash, and to help wing your lashes out - cat eye style. I can safely say it does that and more. It's ultra black, works well from day one and doesn't flake or cause fall out. I've noticed it separates each lash really well, my lashes appear suuuper long, and the curved brush means that I can reach all of my lashes. Even the teeny tiny inner eyelashes I'd totally forgotten I had. I never coat my stumpy poor excuse for lower lashes, as I've always found it really hard to get to them without poking myself in the eyeball. But the angled brush now makes it possible. I love this mascara, and I'm enjoying getting to know lashes I'd forgotten I had. Let's take a moment to appreciate the packaging... It's soooo gold. I love glimpsing the instantly recognisable tube when I'm rummaging around in my makeup bag. It's so classy and really stands out from other mascaras. Now onto the product. At first glance, I was underwhelmed by the brush. It's skinny and long, with rubber bristles, nothing to write home about so far. But, and it's a big but. The application is a dream. It's easy to build and never clumps, no matter how many layers. Whenever I wear this mascara I get a ton of people ask me if I'm wearing falsies, or comments on how long my lashes are (they're really aren't) It works really well after an eyelash curler, and holds the curl all day. It's better at elongating, rather than volumising, and gives a very classy but powerful look of long full lashes - it's my perfect 'day' mascara. The only way YSL could improve? Make a rose gold version! 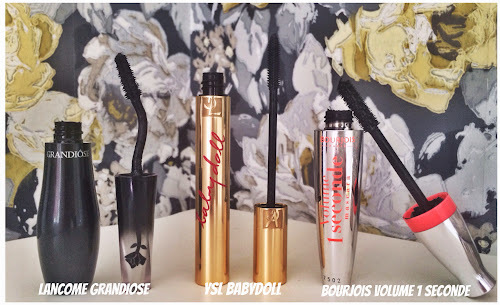 I hate to admit it but I can be a bit of a mascara snob, and I wouldn't usually think to try out Bourjois for mascaras. Other makeup, yes, I love trying out their foundations and bronzers. But to me, Bourjois isn't synonymous with mascara. 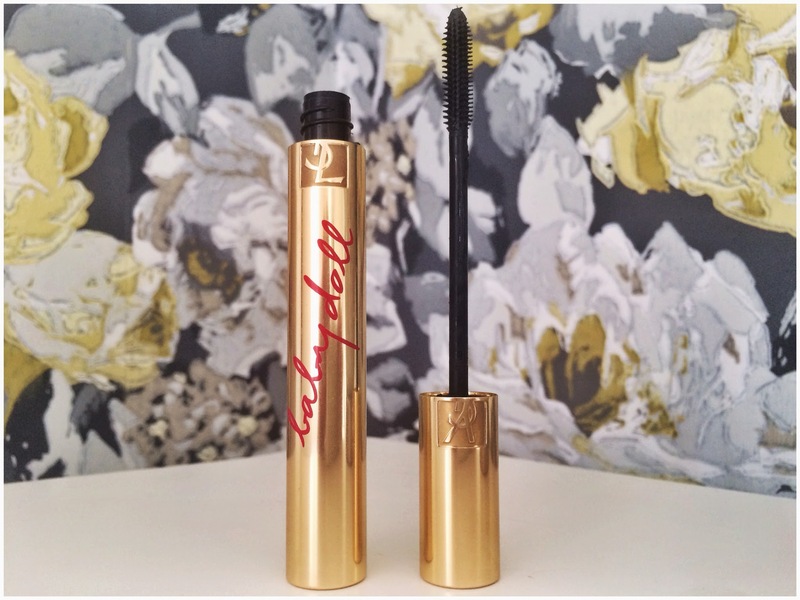 That all changed when I recieved this mascara in the 'Lastest In Beauty' Power box, in the summer. It initailly went to the overflowing graveyard of beauty box samples (the drawer under the bathroom sink) until more recently, when I ran out of mascara. I remembered I had this, tried it out, fell in love. The rest is history. 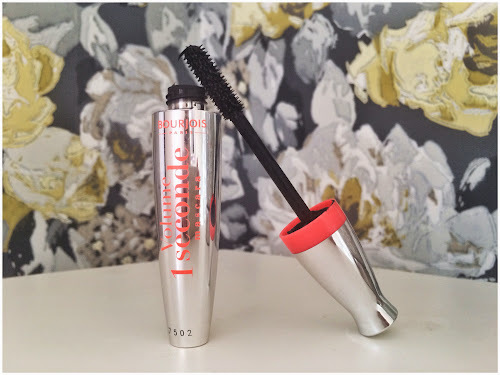 The brush is absolutely huge, with rubber bristles poking out in every direction - But this seems to work brilliantly, combing the lashes through and volumising them instantly. I love that it lives up to its claim of volume in 'one seconde' (in a French accent) so one coat is enough. If your anything like me though, you'll probably still apply a million coats, but that's ok because it doesn't clump. Lashes stay separated and triple the size, look ultra black and very dramatic. I even find I don't need to wear eyeliner on my lash line as often, as it seems to create a dark and full base on its own. I'm totally converted, and I'm ready to re-purchase my second tube. I'm no longer a mascara snob. These all sound great! The results for YSL sound amazing! It's fab isn't it! I'm almost out - eyeing up the ultra black version next! 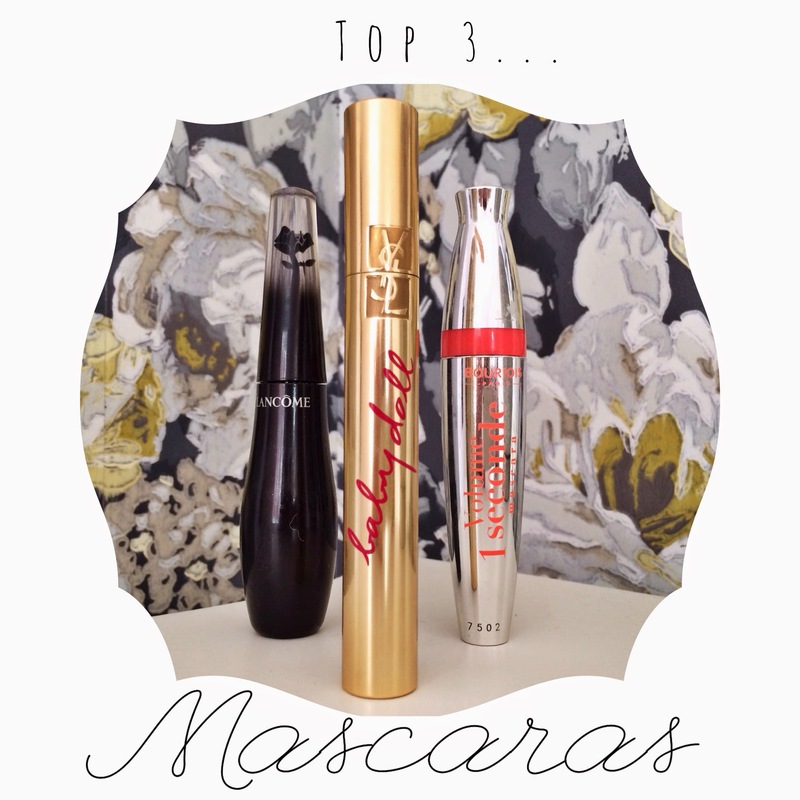 I loved the Bourjois Volume One Second Mascara as well!